The main sections of this site were written by the members of the core team at the Bournemouth University Clinical Research Unit (BUCRU) (previously Dorset Research & Development Support Unit, RDSU). Researchers we knew had an interest in emotional processing as applied to specific areas, such as irritable bowel syndrome, were invited to contribute as guest authors. This helped to broaden the scope of the site and also made us aware of angles we had missed. 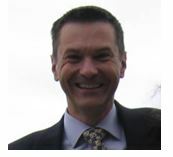 Roger has worked in a dual role as researcher and clinical psychologist at Leeds, Aberdeen & Bournemouth Universities and in NHS Trusts specialising in mental health. Early in his career he researched the application of behavioural techniques with schizophrenic patients, producing REHAB (Rehabilitation Evaluation Hall & Baker) with John Hall in 1989. In 1977 he joined a research programme on cognitive therapy approaches in panic disorder, editing ‘Panic Disorder: Theory Research & Practice’ in 1989 and writing the self help book ‘Understanding Panic Attacks and Overcoming Fear’ which has been published in several languages and editions since 1995. During therapy with panic disorder patients, his attention was drawn to the way in which they described their emotional life. His research interests turned towards the understanding and assessment of emotional processing. 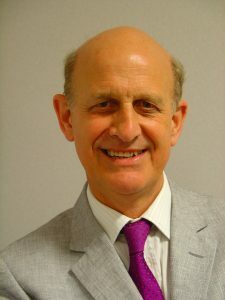 He is Professor of Clinical Psychology at Bournemouth University and former Consultant Clinical Psychologist with Dorset HealthCare NHS University Foundation Trust. Peter has a Personal Chair in Health Care Statistics & Epidemiology at Bournemouth University. He has many years of experience in providing statistical and methodological advice and support to health researchers from a variety of backgrounds. He is an active collaborator in research led by others, as well as conducting his own research. He has published widely in the fields of paediatric and perinatal epidemiology and chronic disease epidemiology. He has previously worked for the British Medical Research Council Laboratories in Jamaica and the University of Bristol. 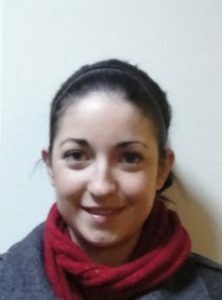 Sarah joined BUCRU (previously RDSU) in December 2000 as Research Officer. Her background is in experimental psychology and her PhD was in the area of unconscious learning. Prior to her PhD studies she worked as an Assistant Psychologist at Great Ormond Street Hospital in a clinic for children with feeding difficulties. Before joining BUCRU she worked as a Research Fellow in the Department of Psychology, University of Southampton exploring how individuals develop likes and dislikes. She is now a Senior Research Fellow and involved in developing many key research projects. Mariaelisa is a clinical and community psychologist who worked for the Dorset Research & Development Support Unit on the Italian Validation of the Emotional Processing Scale. She obtained her degree from the University of Bologna with honours; Thesis title “Emotional Processing Scale: Validazione Italiana”. She was awarded the “Leonardo da Vinci” scholarship allowing her to gain work experience in the United Kingdom. She holds a qualification in Integrated Autogenic Training for knowledge and practical application of relaxation techniques. 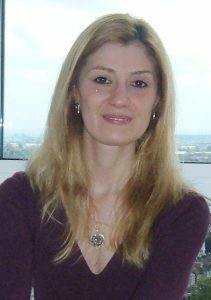 Mariaelisa was awarded her PhD in the area of cross cultural comparison of emotional processing by Bournemouth University in 2010 and is now working as a Clinical and Community Psychologist in Sardinia. Matt started his research career in October 2002 as a Research Assistant at the Dorset Research Development and Support Unit. Here he worked on a clinical psychology programme developing an emotional processing paradigm. Matt gained his MSc in Research Methods at the University of Southampton, where he went on to win an ESRC-funded collaborative award with the School of Psychology and Hampshire Educational Psychology Service. His Phd focussed on how anxiety and depression affect working memory processes and academic performance in schoolchildren. He was supervised by Dr Julie Hadwin and Professor Jim Stevenson and examined by Professor Michael Eysenck (Royal Holloway, University of London). Matt then took a position as postdoctoral scientist with Professor Ian Goodyer in the Department of Psychiatry at the University of Cambridge (2009-2014). In this role he tested and developed models of emotional disorder and psychological traits in large longitudinal cohorts. Matt is now Research Fellow at the MDC and Trial Manager for the multi-centre European trial (MooDFOOD) that will assess the effect of nutritional strategies on the prevention of depression. the development of the Emotional Processing Scale through research, collaborations and the advancement of normative statistics for the scale. Her main interest is in the role of emotional processing in the development of mental health problems and its relevance to overcoming difficulties. 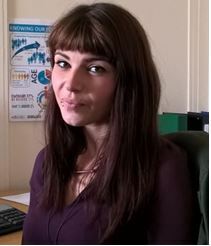 Louise joined BUCRU in July 2008 having previous administrative roles within the NHS. She has a great interest in research which was further developed by her two degrees at Bournemouth University. Louise manages the office and is the voice you hear when you telephone the unit. Anna joined BUCRU in December 2014 as Research Publications Officer. Her background in Social Work and experience in working with a variety of client groups encouraged her interest in Psychology, so she decided to return to university to complete her Psychology degree. Anna has contributed several articles to this website and influenced the re-design and update of the Emotional processing and Emotional Processing scale websites. At BUCRU she leads on liaison with international collaborators and since 2015, has also been working as Research Assistant and been involved in the translation and Norm production of the Emotional Processing Scale (EPS) into German (EPS-D). Dawn joined the Dorset Research & Development Support Unit in April 2000. She became interested in website design and produced the Dorset RDSU’s own website in 2003. She also originally set up the emotional processing website. Professor Jack Rachman, Professor Emeritus of Psychology at the University of British Columbia, has been a major figure in the development of Behaviour Therapy throughout the world. At first assistant editor, then editor of ‘Behaviour Research & Therapy’ from its inception in 1963 until 2002, he has helped to encourage and shape the face of both behaviour therapy and cognitive therapy. His innovative articles including ‘A reassessment of ‘the primacy of affect’ (1981), ‘Cognitive therapy of compulsive checking’ (2004), ‘The overprediction of fear’ (1994), ‘Cognitive theory of obsessions’ (1997), ‘Fearful distortions’ (1992) and ‘Emotional processing’ (1980) are widely cited in the psychology literature. His books, such as ‘The meanings of fear’ (1974), ‘Fear and courage’ (1990), ‘Panic disorder; the facts’ (1992 with Padmal de Silva) and ‘Obsessive-compulsive disorder; the facts’ (1998 with Padmal de Silva) make cognitive behavioural principles accessible to sufferers and to a wider audience. 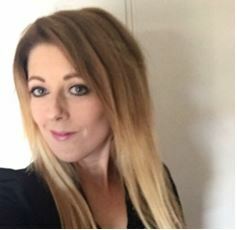 Helen is lecturer in psychology at Bournemouth University and a former Consultant Clinical Psychologist working in the NHS in Bournemouth, Dorset. She worked directly with adults with mental health problems, as well as supervising other clinical staff and being involved in service development. She has had training in cognitive behaviour therapy, gestalt psychotherapy, dialectical behaviour therapy and mindfulness as a therapeutic practice. She has particular interest in the roles of acceptance and change in psychotherapy. This is part of a wider interest in finding the meeting points between mainstream, research-based therapies and less mainstream, awareness-based and holistic therapies. Les Todres, PhD is a clinical psychologist and formerly Professor of Qualitative Research and Psychotherapy at the Institute of Health and Community Studies, Bournemouth University. His previous occupational roles have included head of a student counselling service and director of a clinical psychology training programme. He has also worked within National Health Service Clinics and GP practices within the United Kingdom. 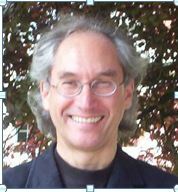 He has published in the areas of phenomenological psychology and integrative psychotherapy. In 2004 he co-founded, and now leads, the Centre for Qualitative Research at Bournemouth University. He is a qualified Focusing Trainer (New York Focusing Institute: www.focusing.org), and this is the approach taken in the article. Clare worked as the Research Co-ordinator at the Dorset CFS/ME Service. The team, led by Dr Selwyn Richards, has been carrying out research into both the etiology and the treatment of Chronic Fatigue Syndrome (CFS). They published an observational study evaluating lifestyle management – a holistic treatment approach used by Occupational Therapists at the Dorset CFS Service. Other projects include a randomized controlled trial evaluating a potential treatment for CFS based on immune stimulation and a collaborative study with Imperial College (London) investigating gene expression in peripheral blood mononuclear cells of patients with CFS (a method of looking at changes in a wide variety of biochemical pathways by investigating the activity of the genes controlling them). completing an MSc in Research Methods in Health. Jane qualified as an occupational therapist in 1995. Studying occupational therapy gave her the chance to combine interests in physical medicine and psychopathology. Since qualifying she has specialized in musculoskeletal medicine. She is currently employed in a clinical specialist post in rheumatology at Dorset County Hospital, Dorchester. Earlier this year she completed an MSc in Rehabilitation Science at the University of Southampton. During the course, she was particularly inspired by the psychosocial aspects of illness and disability module she took within the School of Psychology. At the same time, she has been involved with the Mind & Body network in Dorset, which stimulated further her interest in the relationship between the psyche and the soma in physical medicine and rheumatology in particular. This culminated in her recent research project, which investigated emotional processing deficits in women with fibromyalgia syndrome. Mary is senior lecturer at the Institute of Health & Community Studies, Bournemouth University. She is a psychologist and psychotherapist who specialises in working with people who have chronic illness. Her PhD was in exploring psyche-soma relationships in the psychotherapy of patients with functional abdominal pain. 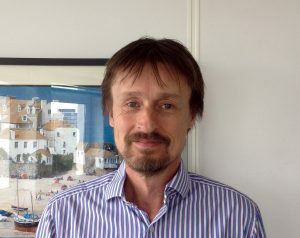 Selwyn is a consultant rheumatologist at Poole Hospital NHS Trust and the lead clinician for the Dorset Chronic fatigue syndrome service at Wareham. 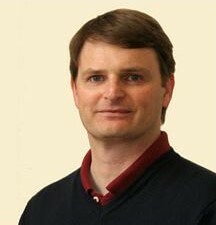 His main areas of research are into the impact, cause and management of CFS/ME and fibromyalgia and multicentred clinical trial work in rheumatology. The results of his award winning research fellowship on the benefits of prescribed exercise in fibromyalgia have been published in the British Medical Journal. 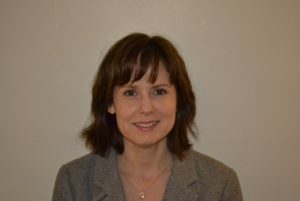 Jane is a Clinical Psychologist currently working with Older Adults in Cheltenham, Gloucestershire. After qualifying at Southampton University, she worked in Bournemouth and Poole, both with adults and older adults in both primary and secondary care settings. During this time, she became interested in somatization disorder both clinically and academically. Her interests are in attachment and early relating, and the effects of these on psychological expression in adult life. She is also interested in social anxiety and her dissertation research was in this area.